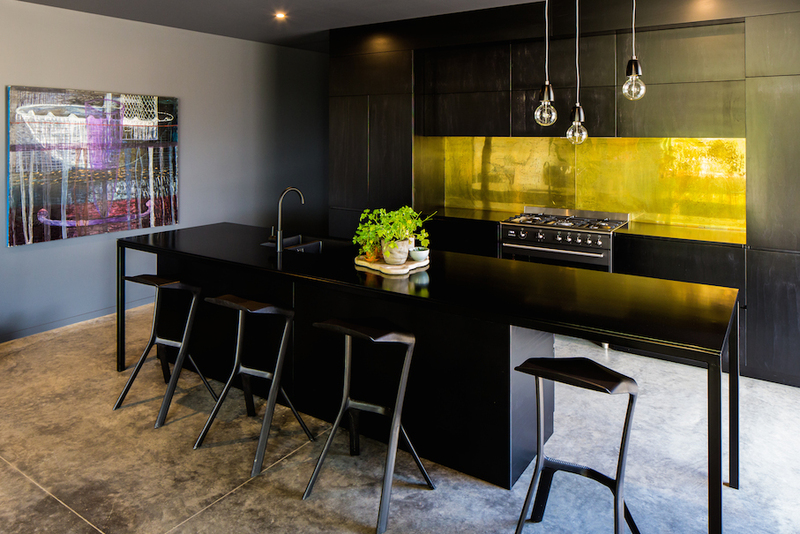 Alex and Matt approached us to assist with the design and build of their kitchen for their new home in Greytown. They had a very clear vision, and knew what they wanted from the space. We were very happy to bring this vision to life. This is a highly original design, sleek and modern yet very functional as a family kitchen space. Black painted cabinetry with recessed pull handles. 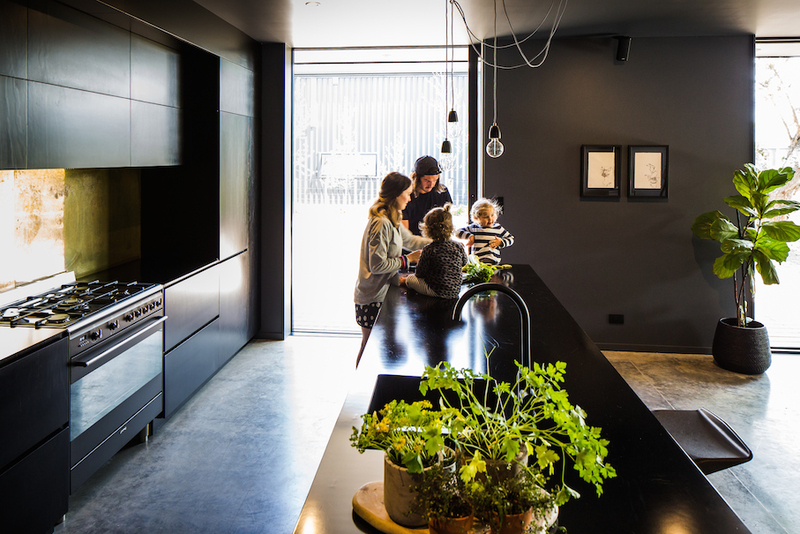 A powder coated raw steel bench top takes central stage for family meal time. 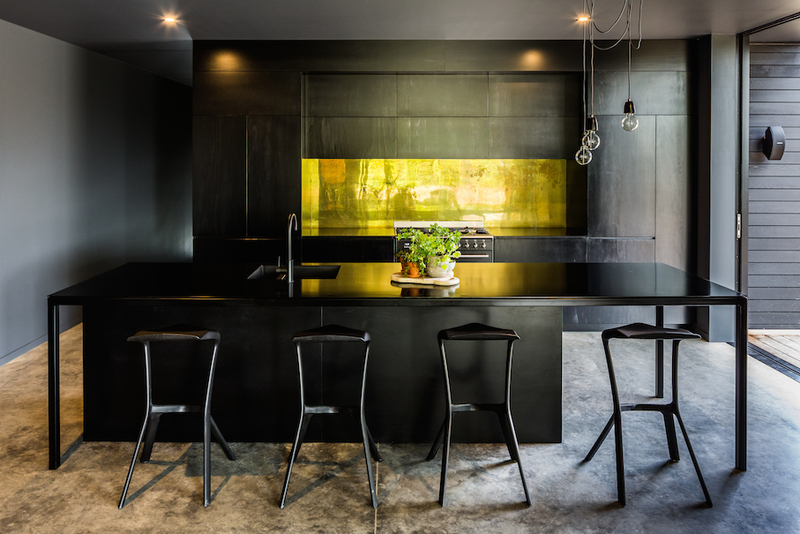 The copper splash back contrasts well against the black surrounding cabinetry.